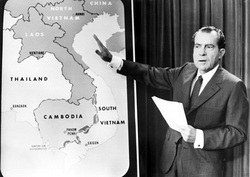 Vietnamization was a policy introduced by Richard M. Nixon to train the South Vietnamese forces to help make them more self sufficient in the fight against the North Vietnamese Vietcong. 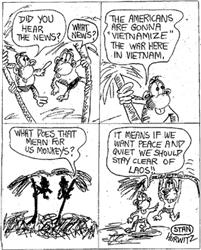 "expand, equip, and train South Vietnam's forces and assign to them an ever-increasing combat role, at the same time steadily reducing the number of U.S. combat troops." Strengthening the armed force of the South Vietnamese in numbers, equipment, leadership and combat skills.